Some days your mornings look like this. Or this. Some days you can barely scrape together three things before hurling yourself into the mêlée. Yogurt + jam + nuts. Fast and easy doesn’t have to mean mediocre and hyper-processed-for-your-convenience. 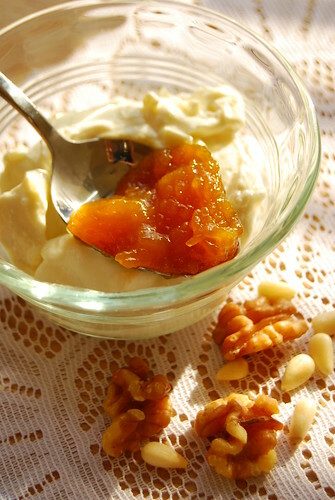 Thick and creamy Greek-style yogurt from a local dairy farm, artisan mango jam (also local), and some of your favorite nuts (aside from this one). Guess which day today is? I really like that there is a lots of extremely delicious dishes that i can make easily 7 days a week.